Boston, USA -- If the Buddha had lived in today's world, he would have simply written a self-help guide and called it "How to End Suffering". He would have written it in the vernacular and wanted it to be translated into as many languages as possible. Well, my point is that Buddha Shakyamuni was most concerned about the subject of suffering. Based on his assessment of our plight as humans, he laid down the essence of his wisdom in The Four Noble Truths that can be summarized as such: that life is suffering; desire is the cause of suffering; that the cause of suffering can be eliminated; and this can be done by following the eight-fold path. It is true that our ancestors have been very successful in preserving the teachings of the Buddha. According to most Tibetans, this is the “only thing that we can boast of”, as His Holiness himself put it. But it is important to know the kind of preservatives that have been used to preserve Tibetan Buddhism and that have given it its distinctive flavor. Tibetan Buddhism has been acknowledged to be a combination of three distinct religious traditions - the divine dharma (lha chos) or Buddhism; Bon dharma (bon chos) or the indigenous religious tradition of Tibet characterized by shamanistic and animistic rituals performed by priests; and the dharma of human beings (mi chos) or folk religion. A man bade farewell to his wife as he embarked on a long journey, not knowing when he would return. A few months later, his wife gave birth to a boy. Two score and five years later, the man returned and his wife introduced the boy to him as his son. In spite of the sincerity in their faces, the man was hard-pressed to believe this – after all, the boy bore scant resemblance to him, and his mannerisms were different. Indeed, so much had changed in his absence … Similarly, imagine if the Buddha were to return today, what would he make of our marked piety as expressed in the spinning of prayer wheels, circumambulation, prostrations, recitation of texts, chanting of mantras, and performing rituals? Would he be impressed or smile in compassionate disagreement? Would he be like the man in the story, and not recognize Tibetan Buddhism as representative of his teachings? Religion is defined as “a set of beliefs, values, and practices based on the teachings of a spiritual leader” (The American Heritage Dictionary). Therefore, in evaluating Tibetan Buddhism, one must look not only at the teachings of the Buddha but also at the actual beliefs and practices of its proponents and followers. I will briefly outline four problems that plague Tibetan Buddhism as we practice it today, and taking my cue from the Buddha, I will make a modest attempt to identify the nature of the problem, its cause(s), the attainable goal and the path. I am not about to suggest that superstition is unique to Tibetans, but the abundance of such beliefs, the overwhelming majority of Tibetans who subscribe to some sort of superstition, and the degree of influence or control it exerts on their lives certainly lends credence to the saying that “superstition is the child of ignorance and the mother of misery”. By definition, superstitions are beliefs, practices, or rites irrationally maintained by ignorance of the laws of nature or by faith in magic or chance. To the superstitious among us, whistling at night is an invitation to ghosts and other malignant spirits; second-hand clothes must be lightly spat on before putting them on; a wart can be made to disappear by simply pretending to sweep it away with a broom on the fifteenth day of any lunar month; the sound of thunder is still a dragon’s roar; and leaving on a journey on a Saturday is inauspicious; and so on. And then there is the whole realm of dream interpretations. Instead of discrediting these superstitions as the Buddha clearly would have done, a Tibetan Buddhist practitioner (even if he is a master of empirically-based dialectics) will not only acknowledge the validity of these irrational beliefs of folk religion, in many cases, he will justify the beliefs using Buddhism, and advise a remedial course of action. Belief in superstitions is a result of ignorance or fear of the unknown. What is even more interesting is that in some cases, many Tibetans simply obey the dictates of superstitions no longer even aware of what they are afraid of – or what dire consequences might befall them should they not abide by them. Clearly, the antidote to a superstition is not another superstition as our ancestors have been creative enough to come up with (for instance, they would advise that if you are compelled to leave on a journey on an inauspicious day such as Saturday, you should pretend to leave the day before the actual departure date, taking all your baggage and leaving it with somebody, return home and start out again the next day thereby supposedly cheating superstition itself). This would only create a vicious cycle (similar to having to lie again to cover the initial lie) and only drag one even deeper into the bottomless abyss of superstition. I believe education is the cure – for example, educated Tibetans (including young schoolchildren) should try to patiently talk to their parents and grandparents about the alternative and scientific explanations for those phenomena their superstitious elders attribute to supernatural powers; local Tibetan organizations should hold information or education sessions where there can be open discussion about the senselessness in relying on superstitions – only then we will be able to get rid of our centuries-old narrow-mindedness. Buddhism as taught by the Buddha was a revolt to, or to put it more mildly, marked a departure from brahmanical ritualism. The ritualism that has come to be the signature of Tibetan Buddhism is the legacy of the native religion of Tibet, Bon that predates the introduction of Buddhism into Tibet. Most Tibetans are innocently unaware that elements of Bon religion are interwoven with the fabric of our customs and thinking. For any important event, the four steps of oracle, astrology, ritual and action are followed. Various rituals such as hanging prayer flags, ransom rituals (glud), sky burial, “calling back the soul” rituals; divination (mo); and the ritual use of human body parts such as human skulls and thigh-bones, are clearly not Buddhist but in fact remnants of Bon practices. Such pre-Buddhist shamanistic rituals have survived because they focus on pragmatic mundane benefits and not on final liberation or the benefit of others as Buddhism does. When Buddhism was introduced in Tibet, the (Tantric) Buddhists led by Padmasambhava adopted some beliefs and rituals of Bon such as the dependence on oracle, astrology, and pantheism (many Bon myths were given Buddhist interpretations), and proclaimed the Bon deities as minor deities of Buddhism. Instead of weaning away from Bon beliefs and practices, it was absorbed into Buddhism and over the years, cultural inertia as well as complacency and of course, turning a blind eye to the Buddha’s original teachings, these have kept the status quo. To the majority of Tibetans who remain quite attached and reliant upon such rituals, I would recommend that they rely on rituals as a secondary measure, for instance, not to assume that some ailment is the result of the wrath of nagas (lu) or other spirits, but to take advantage of modern medical diagnosis and treatment, and if all else fails, then take resort to rituals. Educated Tibetans these days are skeptical about the logic and efficacy of rituals (skepticism is still regarded by the devout Tibetan Buddhists as logta or wrong attitude) and aren’t afraid or ashamed to admit it. Some young Tibetans are at the crossroads not knowing whether to call themselves Tibetan Buddhists or to become agnostics. I also feel that the boat of Tibetan Buddhism is overburdened with rituals (and superstitions) and that we need to jettison these unwanted cargoes. I think it is important that we study the essence of Buddhism, what the historical Buddha really taught and then, we will have a much deeper appreciation for Buddhism and understand why we must not allow ritual to replace thought. The monastic community or sangha is the third refuge, after the Buddha and the dharma. In the Buddhist Canon, Tripitaka, the members of the sangha are defined as being “worthy of gifts, hospitality, offerings and reverential salutations, and who are the unsurpassed field of merit in the world”, which in essence means that like good role models when it comes to practicing the dharma, the monks should embody the Buddhist virtues. I accept that there are many good monks who live by their monastic vows. However, it is hard to turn a blind eye to the behavior of some monks who would lead one to believe that they never seriously renounced secular life when they were ordained as novices. His Holiness has asserted that our monasteries have not been able to preserve the Buddhist tradition as efficiently as the great Indian scholars of Nalanda University and has repeatedly entreated monastic communities to not focus on building a grander monastery or simply increasing the number of its monks or nuns, but rather genuinely engage in studying and practicing the dharma. Then there is the trend of monks who give up their monastic vows as they grow up. They are unfairly subjected to social stigma, and labeled as dralogs. I feel they should not be referred to by this derogatory term but instead as drasurs (former monks). After all, it is not their fault completely. Though it no longer is the case as it was in the pre-1950s Tibet where almost every family sent a child to become a monk or a nun, there are still many families that “give their offspring to the dharma” convinced by financial pragmatism or by the belief that they are doing their child a favor or that having one family member in the monastery would counter-balance whatever negative karma the rest of the family accumulates. The source of the problem seems to be due to the fact that the majority of monks and nuns are admitted by their parents as young children, and not of their volition. 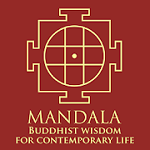 I am sure the Buddha would have wanted only those who have a certain degree of conviction and are able to renounce secular life (or the life of laypeople) to join the sangha or monastic community. Also we should not over-rely on the members of the monastic community to act as middlemen to invoke the saving grace of Buddha(s) and deities but remember what the Buddha said before passing away - “You should do your own work, for I can teach only the way”. Also remember the Buddha’s words to Kisagotami whose first-born had died and had come to the Buddha expecting a miracle. It is clear that we ourselves have to reap what we have sown and we ourselves must undo what we have done (where possible), that no one can intervene on our behalves and that we should be lamps unto ourselves as the Buddha put it. Many of our tulkus (reincarnate lamas) are able to do what Siddhartha Gautama (the historical Buddha) was unable to do – they very easily reconcile their life of pampered luxury and privilege with the visible poverty and suffering outside their palace-walls. In fact, many prefer to insulate themselves by living in their comfortable cocoons. Once recognized, a young tulku inherits a labrang, or estate, consisting of property, servants, and treasure. He can squander these resources, or he can use his charismatic religious aura to generate personal grandeur and amass even more worldly power. Many Tibetans see tulkus as entrepreneurial vendors of Tibetan Buddhism, as someone who will convince you that the diamond you are holding is a piece of glass and make you to part with it, and then once you have turned your back and left, he himself picks it up, dusts it off and puts it in his pocket. However, the material wealth of a tulku is nothing compared to the power he commands by virtue of the love and loyalty of his followers. Think about it, tulkus are our celebrities - we shower them with cash, gifts and unconditional, yes UNCONDITIONAL love and adoration. By this, I mean that even if a tulku repudiates his incarnate identity, to ordinary Tibetans he is still a tulku – and his odd behavior may only cause his followers to think up all sorts of mystical rationalizations to defend their unshakeable adoration – the most common one in the Tibetan community of course being simply lamai zepa yindro. In short, tulkus will always be given the benefit of the doubt. Wayward tulkus are like spoilt brats who know that they have their doting parents’ unconditional love and will exploit it. Therefore, it is only appropriate that His Holiness has expressed concern about the proliferation of tulkus and admonished the Tibetan people to “make a thorough examination before accepting someone as a guru, and even then, follow that teacher within the conventions of reason”. Our blind faith in tulkus must be replaced by the use of discernment that His Holiness has asked of us. That way a message can be sent that we as Tibetan people will not endorse decadent or improper behavior from tulkus and that they are held to be the standard bearers of Buddhist virtues and should act accordingly. Moreover, because the selection process for a tulku is fraught with opportunities for personal gain and is cause for much conflict, scandal and political intrigue (something the Chinese have long caught on to), maybe we should do away with proactively searching for the reincarnation by sending out search parties and the like (unless the deceased lama is thoughtful enough to leave unambiguous signs as to where he will be reborn). After all, if they are the real deal, then they will overcome any obstacles thrown their way and by their undeniable merit rise to their original position or even higher – as we say in Tibetan – the gold even if buried under the earth will shine its radiant glow in the sky. Better still, how about having a meritocracy in monasteries similar to the selection of the Ganden Tripa position about which it is said that “if a mother’s child has the knowledge/wisdom, then there is no ownership to the Ganden throne” signifying that any ordinary monk who has the intelligence and makes the effort could become the next Ganden Tripa? Again here, I will agree with many of you that there are many tulkus and lamas who are aware that with their position, comes responsibility, to their sangha and the general population, and have led their lives in accordance with the virtues expected of them and also given back to their communities. These tulkus by their untainted reputations, adherence to the vinaya and their philanthropic actions, have only further endeared themselves to their followers and attracted the more discerning of Tibetan Buddhists. It appears to me that because of our mentality, we Tibetans (in exile) still live under a certain degree of theocracy (a form of government in which a religion and the government are intertwined) or clergy rule, even after His Holiness has granted democracy to us. Unless we mentally emancipate ourselves, when presented with the choice, we will always pick the tulku or rinpoche (over any equally or better qualified lay candidate) to lead us, which could sow seeds to further compound the factional/sectarian/provincial nature of Tibetan religion and politics. The solution is not simply to state that religion and politics should be separated (on paper it has already been done) – but that we Tibetans must free ourselves from our centuries-old mental shackles, blind faith and biases and make decisions based on objectivity and reason as the Buddha himself would have liked us to do. 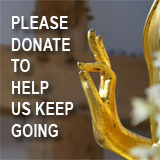 The views expressed in the article are solely my personal views, and do not reflect those of Students for a Free Tibet (SFT) or any other organization or institution that I am or have been affiliated with, such as my alma mater, Tibetan Children's Village (TCV) School, Dharamsala, for that matter.